Legit.ng reports that while speaking during a visit to the Abuja Bureau office of The Guardian on Monday, February 11, leader of the EU observer team to the Federal Capital Territory, Patrizia Agangi, said the statement does not affect the mandate of the observation mission as the Independent National Electoral Commission (INEC) invited them. Agangi explained that the mandate of the EU EOM is to observe the whole electoral process from pre to post-elections. Agangi who is a long term observer, said the group was visiting the newspaper to gauge the feeling and perception of journalists who work in the company about the political environment. Earlier, acting Abuja Bureau Chief, Igho Akeregha, informed the delegation that the newspaper maintains its position as the flagship of the Nigerian press with no sectional, ethnic or religious bias. He noted that there were concerns in the media about the language of political campaigns as it affects the safety of journalists who would be covering the election, including government growing concern about fake news and what constitutes fake news and facts. Akeregha informed the delegation that government’s failure to sign the new electoral law was a setback for democratic consolidation, even as the manual transmission and collation of results may be open to manipulation. He urged the EU to be more firm and make it clear to the two leading presidential candidates that they run the risk of severe international sanctions and possible arraignment at the International Criminal Court (ICC), if they fail to accept the outcome of the polls adjudged to be free and fair. The delegation promised to work closely with all stakeholders including the media to ensure free, transparent and credible elections in the country. Meanwhile, Legit.ng had previously reported that to his controversial 'body bags' statement alleging foreign intervention in the February general elections across the country. 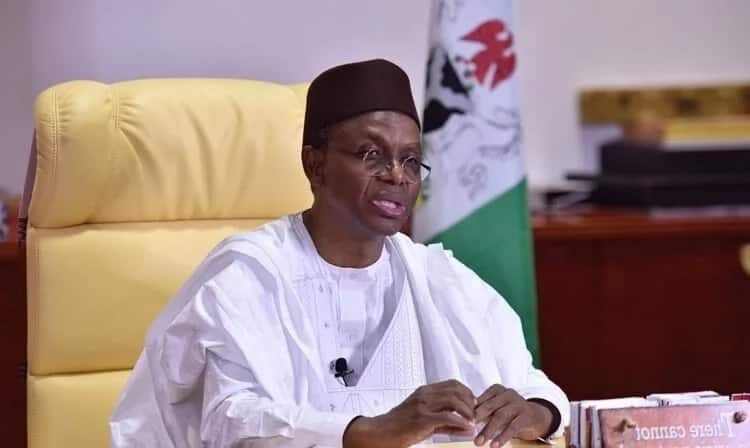 It was gathered that the Kaduna governor slammed the main opposition Peoples Democratic Party, alleging that it has resulted into misleading strategies having been aware of its imminent defeat. NAIJ.com (naija.ng) -> Legit.ng We have updated to serve you better!